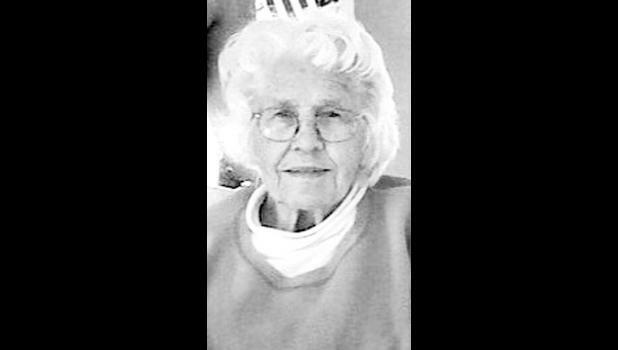 Phyllis Louise Parker, 92, Holton, passed away Friday, March 9, 2018, at The Pines care facility in Holton. She was born Dec. 3, 1925, at Portage, Wisc., the daughter of Harley Otto and Susette Louise Stevens Everson. She graduated from Wichita High School North. Phyllis married Raymond Hardy Parker Jr. on Feb. 2, 1946, in Wichita. They moved to Holton in 1969 where they owned and operated the Gossip Printery. They shared 27 years of marriage before Raymond passed away in 1973. After selling the business to Gary and Carolyn Bell in 1977, she continued to work at the same location for Bell Graphics until 1998. She served on the Beck-Bookman Library Board and was a member of the Pilot Club and Holton Business Women. She enjoyed her card club, The Notlohs for many years. Survivors include her three children, Melissa R. Dibbern, Laurie Parker Fitz and Paul Douglas Parker, all of Holton; her daughter-in-law, Francine Parker, Schaumburg, Ill.; her sister, Janet Ruth Whitesell, Fort Worth, Texas; eight grandchildren, Bryan Hensley (Crystal), Hawley Forster (Tom), Rachel Somers (Paul), Amanda Parker, Caitlin Parker, Emma Parker, Heidi Johnson (Kevin) and Heather Buhl (Scott); and eight great-grandchildren. In addition to her husband, Raymond, Phyllis was preceded in death by her son, Jeffrey Nathan Parker, and her grandson, Joshua Nathan Parker. A graveside service was held at 2 p.m. Monday, March 12 in Holton Cemetery.